In a saucepan, bring apple juice, cranberry juice, spices and maple syrup to a boil and simmer for a few minutes. Sprinkle diced apples into clear glass cups. Strain hot juice into the cups. Add rum, if desired. Whip cream and vanilla. 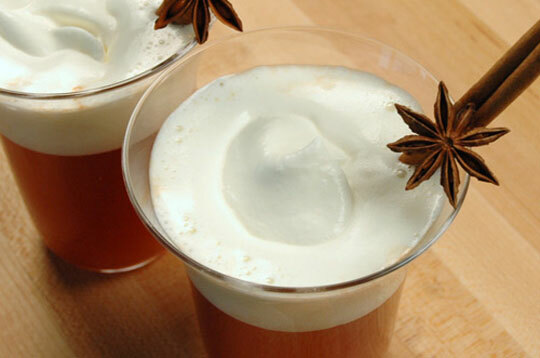 Serve grog hot with a dollop of whipped cream, garnished with additional cinnamon sticks and star anise. Just made this divine thing. Again.